Feed refreshes every 10 minutes. 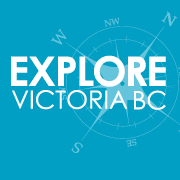 Here you can check out the latest posts from businesses around Victoria, BC. To view a more detailed listing for any business you see in the feed just tap on the picture next to their post. Here you can browse businesses by category and tap to view their listing. To view businesses by location, tap the "view map" button in any category heading. The numbers on the markers represent the number of people that have checked in at each business on Facebook.